It’s so easy to explore Bermuda! There is an efficient and economical transportation system of buses and ferries that can get you just about anywhere on the island. Visitors can purchase a one-day or multiple day pass from a booth right on the cruise dock. Cabs are plentiful, and when a taxi has a blue flag on its hood the driver is qualified to serve as a tour guide. The Bermuda Tourism Authority certifies these "Blue-bonnet" drivers, yet they cost no more than a regular taxi drivers. Or if you’re daring, travel like a local by renting a motor scooter. The speed limit is never greater then 20mph on the roads but keep in mind, in Bermuda they drive on the left! For some of the best golf courses in the world, Bermuda is probably unmatched. There are nine courses spread across the islands 21 square miles. Many of the Bermuda golf courses are designed by some of the greatest architects and each one has stunning scenery, some with elevated tees showcasing spectacular ocean views. 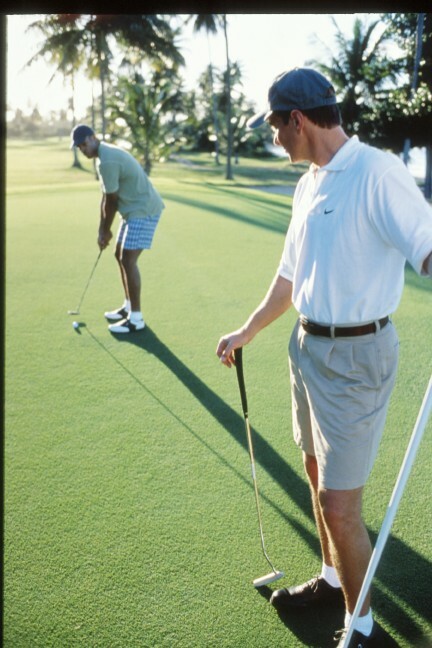 During the cruising season securing a tee time may not be all that easy, so book before leaving home or check out excursions offered by the cruise line. 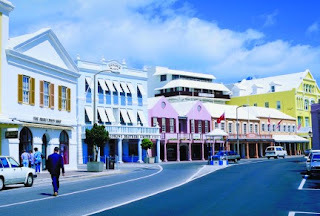 Bermuda is known for its picturesque beaches...turquoise waters and pink sand beaches. This natural rosy-hue phenomenon is created from tiny grains of pink coral that have been washed up on the beach and blended with the sand. There is no place better place to loll away a day! Of course the best reason to cruise to Bermuda is the amazing ships that travel there every week from April through October. Royal Caribbean’s Anthem of the Seas or Grandeur of the Seas, Celebrity’s Summit, the Norwegian Breakaway or Dawn, the Carnival Pride… There is a perfect ship for everyone ready to set sail for Bermuda!